The openQCM is really proud to share the latest reviews about the open source quartz crystal microbalance. 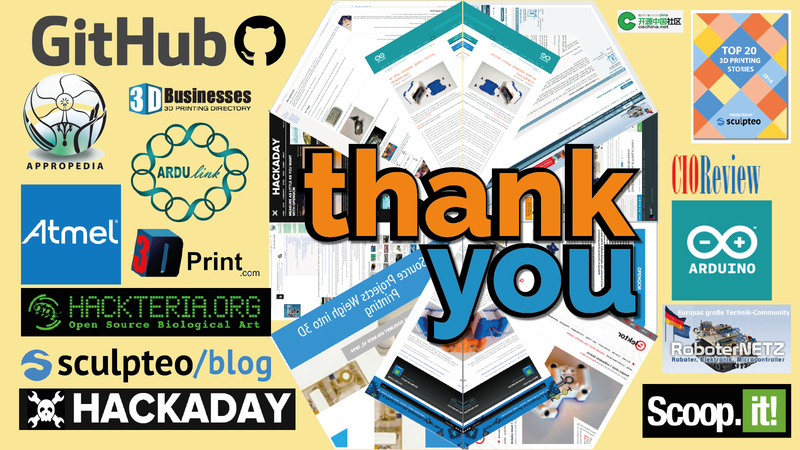 This is also the opportunity to give thanks to people supporting the openQCM project. This is a very exciting moment for the openQCM project. We have launched the openQCM store online about one month ago and it is a success beyond all expectations ! In addition we was pleasantly surprise to read about the openQCM project all around on the web. So I have decided to collect the post in a press review. Hope you can find the review interesting. Good read ! Sculpteo is one of the best 3D printing company for rapid prototyping and manufacturing process. Sculpteo created the first openQCM devices ant it was really awesome. 3Dprint.com is a news organization promoting the most interesting news from the 3D Printing Industry. CIOreview is a technology review magazine focused on innovation. Arduino is the best solution for open source electronic hardware. Honestly, when Zoe Romano, Digital Strategy&Wearables @Arduino, contact us via email saying "I have posted your project on Arduino blog" I made some noise while driving my car ! Hackaday is an amazing, creative, open mind community collecting posts which are the gold-standard for engineers and technology enthusiasts. The Hackday blog post killed our server ! In addition, the community's suggestion were inspiring for the openQCM team. Elektor is the unique international and independent electronics magazine with an in-house laboratory. The Elektor post has endorsed openQCM in Germany where we have a lot of customers. Ardulink is the Java solution for communication with Arduino board. openQCM software is based on Ardulink. We are very grateful to Luciano Zu, the creator of Ardulink, for following the openQCM project from the beginnning. Hackteria is a collection of DIY Biology project for application in life sciences and biotechnology. They hack openQCM demonstrating that it is a real open source hardware project.